In 2017, the University of Waterloo disclosed its investments in a number of fossil fuel companies. The disclosure provided information on 7.24 per cent of equity investments and revealed that over $68 million of the university’s investments are in the fossil-fuel sector. The funds are invested in major players of the fossil-fuel industry, including; BP, Suncor, Exxon, and Royal Dutch Shell. A number of the companies the university invests in are responsible for human rights violations and major oil spills, on top of being some of the heaviest carbon-emitters in the world. 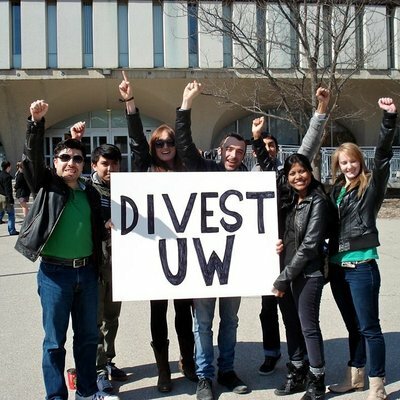 Fossil Free UW (FFUW) has been working to get the university to divest from these companies. Divestment has been the group’s main focus for the past few years, but it also supports broader efforts to make the campus greener and promote environmental sustainability. In 2015, the Waterloo Environmental Students Endowment Fund (WESEF) voted to divest their funds. This decision was supported by 68 professors from across faculties in an open letter to the Board of Governors. The Board rejected calls for divestment and instead instituted the Responsible Investment Working Group (RIWG) to provide a platform for the university community to contribute their views and make recommendations on how to incorporate environmental, social and governance (ESG) factors into the university’s investment decisions. In June 2018, the RIWG published its report to the Board of Governors. Its recommendations included: sthe formal adoption of ESG considerations as part of the selection criteria for investment managers, becoming a signatory to the United Nations Principles for Responsible Investment over a 12-month period, and that the Board resolved to review progress on the implementation of ESG factors annually. In response to the official declining of fossil-fuel divestment by the university, FFUW has been spearheading a campaign for students to protest fossil fuel investment by ending their contributions to endowment. For each term, students can request refunds for their endowment funds. FFUW is aiming to encourage students to withdraw their contribution every semester until the university agrees to divest from fossil fuels. As of now, about 300 students have withdrawn their contributions.